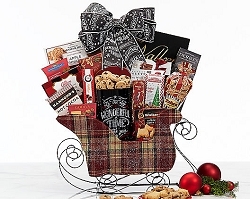 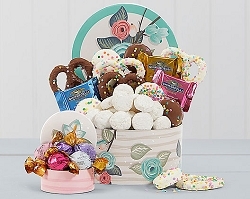 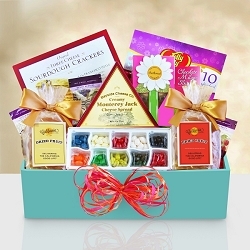 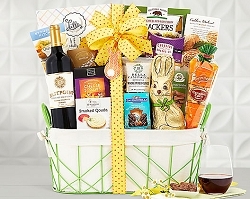 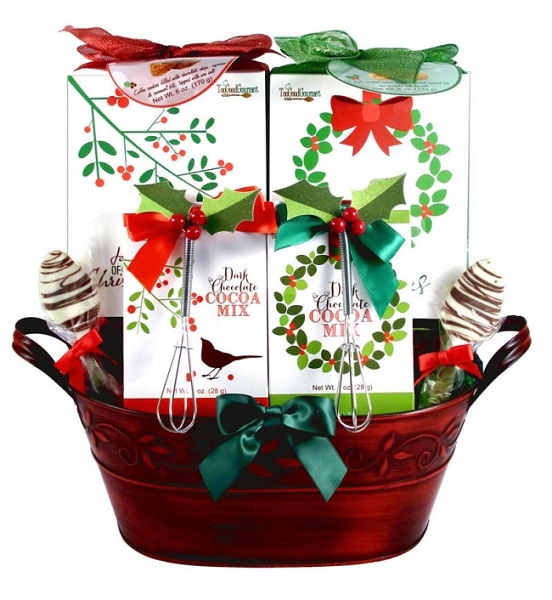 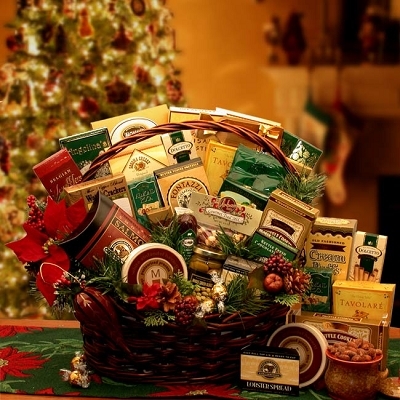 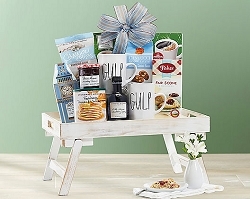 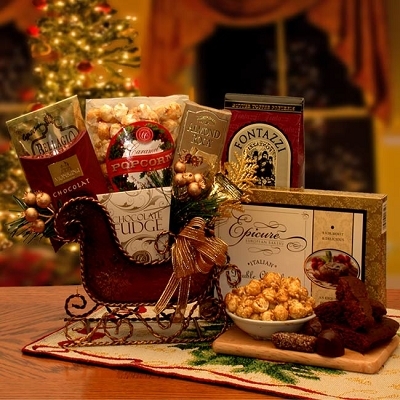 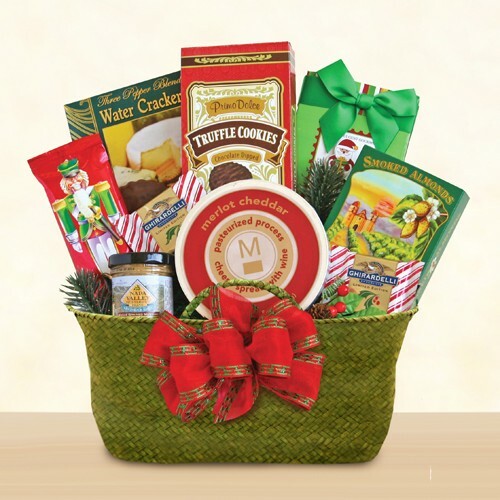 Send joyous wishes this Holiday with this delightful and festive gourmet Christmas gift basket. 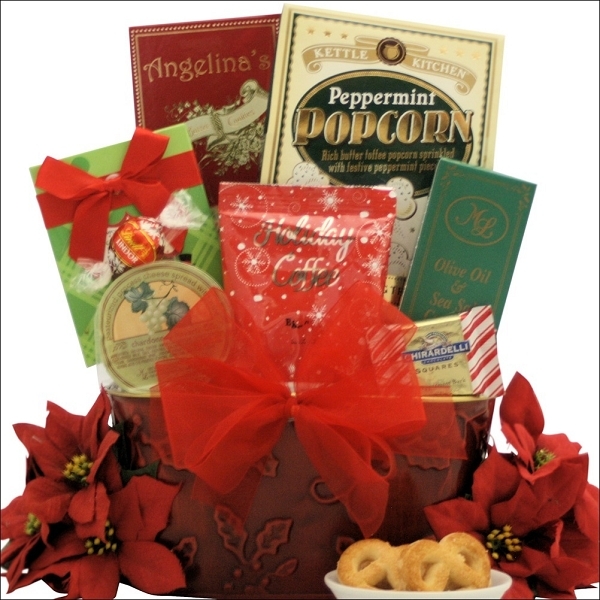 The elves having been working overtime this year to build this adorable Gourmet Holiday Christmas Gift Basket. 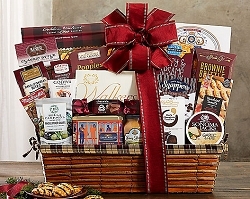 Perfect for holiday gift-giving, this basket is filled with delicious holiday gourmet foods including Too Good Gourmet Chocolate Peppermint Cookies in Jolly Snowman Gift Box, Coffee Masters Holiday Eggnog Flavored Coffee, Lindt Milk Chocolate Truffle, Ghirardelli Milk Chocolate Prestige Peppermint Bark Mini Chocolate Square and more! 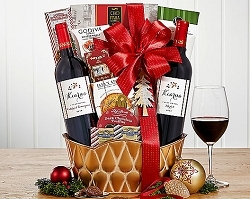 A fantastic Holiday gift this season at an even better price!